lovely Mountain & Lake views! 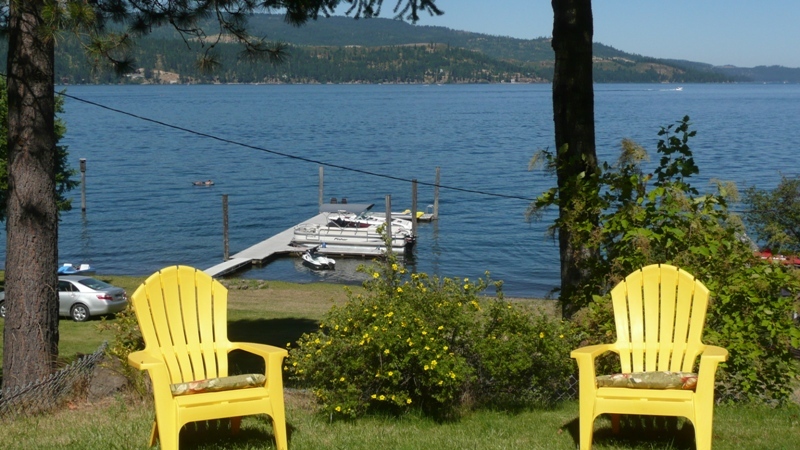 Build a lifetime of memories on this Coeur d’Alene Lakefront Vacation Get-away. Launch your water adventures – like boating, fishing, or swimming – from the Dock & Boat Slip, which is finished with newer Trex decking. The lot features Grass to the Water’s Wdge and a Beach for sunbathing and soaking up the summer sun, or observe the wildlife from your favorite deck chair. This is a favorite habitat of waterfowl and birds of prey, like Merganser Ducks, Canadian Geese, Osprey, and Bald Eagles. The Kitchen, Dining, & Front rooms provide ample space to treasure every moment of down-time with friends and loved ones. 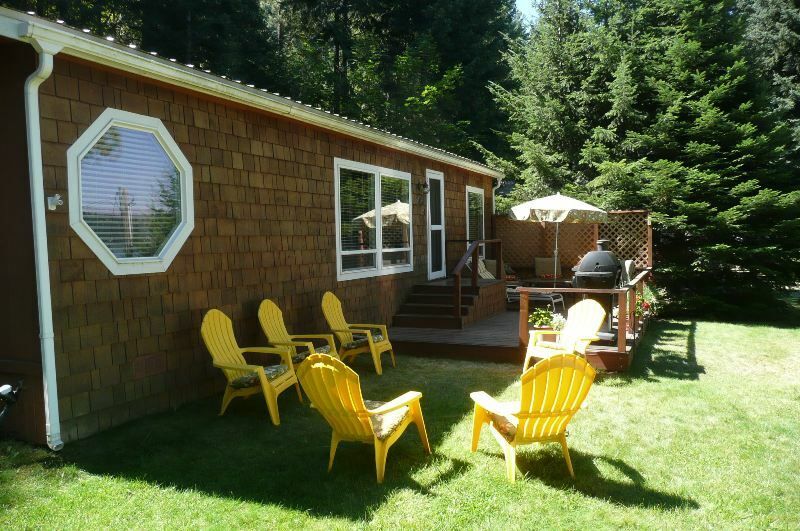 The 2 Bedroom-2 Bath home includes a Master Suite, as well as a Guest Bedroom and Bath. Harrison, Idaho, a favorite small town resort destination, is just moments away. Locals and tourists enjoy its friendly hospitality and prominent access to the area’s three scenic attractions: the 150-mile paved Trail of the Coeur d’Alenes, the Coeur d’Alene River, and of course, peerless Lake Coeur d’Alene.